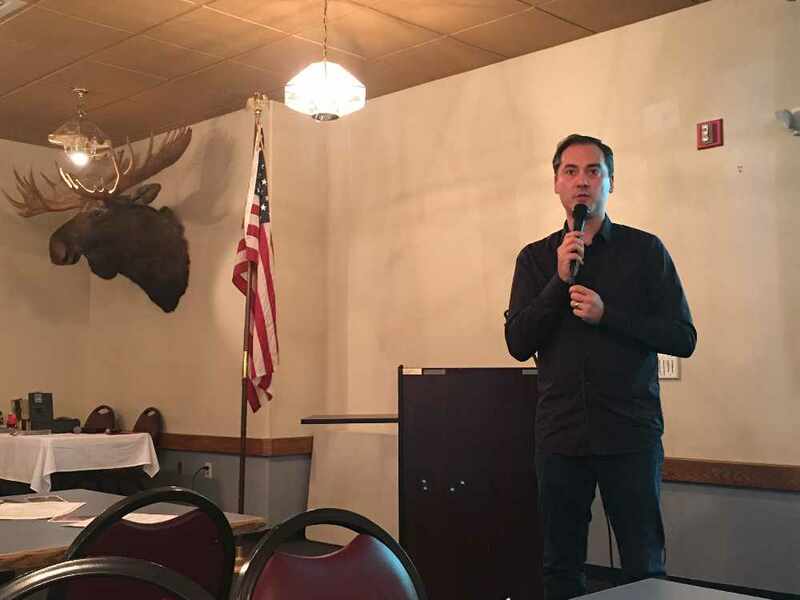 Juneau, AK (KINY) - Presenting at the latest Juneau Greater of Commerce Luncheon, the Juneau Symphony discussed their upcoming season, highlights to look forward to, and answered any questions Chamber guests may have had. With a performance coming up this weekend, the Juneau Symphony was excited to talk about the level of sheer music mastery displayed in Juneau. Their upcoming concert will feature some iconic sections of Carmen, America the Beautiful for Veteran's Day, and Arvo Part which features Juneau musician Lisa Ibias as the featured soloist. The Juneau Symphony has been a part of the local arts for over fifty years, with no signs of slowing down. They will soon be on the search for a new Music Director. Dwayne Corbin, who is the guest conductor for this concert told us the highlights of the upcoming show. "Lisa Ibias is our guest soloist, everybody knows her, she's been here in town for a long time and grew up in Juneau, she is absolutely the attraction and the favorite of this show. Come cheer her on! She's also trained a lot of the violinists in town. She is the huge highlight." Lisa Ibias tells us that performing in Juneau is a favorite as people come out to support music. She calls this event a dream come true. "Coming back as a soloist is a dream come true. I love performing, it's fun, nerve-wracking, and crazy, but I love it. To be able to get in front of my hometown orchestra and play with them is one of those dream things." For those who rarely see live music, Corbin explained that there is something to be gained that is not present when listening to or watching a recording. This also serves as good advice for those studying music. "You need to experience and immerse yourself in music. Especially right now when it's so easy to see everything on YouTube, go see live music." "There's an unknown element to that. Yes, it's beautiful music performed well right in front of you, but you also get to see how the sausage is made if you will. You see the process of music right in front of you, the anticipation, the delivery, the connection visually between the conductor and the musicians, the soloist and the energy they're pushing forward. It is a totally different experience than watching on a recording." Corbin invited everyone in the community to come see the Juneau Symphony. "Come support your symphony! Everybody in the audience knows somebody on stage. This is such a tight-knit and amazingly supportive community. It's the season opener with an auction during intermission, so come for the music and the auction, and have a great time." The event will be held at the JDHS Auditorium on November 10th and 11th. Tickets are available online at JuneauSymphony.org and there will be a silent auction on both nights. There is also information on rest of the concert season on their website.